We’ve all been there: You wake up from another fitful night’s sleep and think enough is enough. 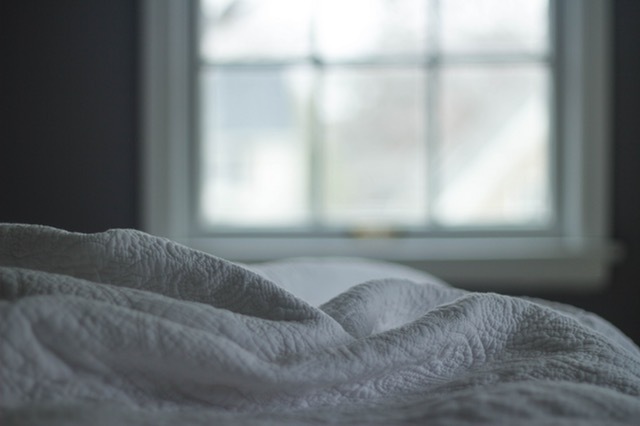 Turning your apartment back into a calm oasis of sleep is easy with these quick fixes. Duvet covers are pesky items and if you have one, you know the insert can move around as if of its own free will. Comforter Clips are the easiest solution and can be found at Bed Bath and Beyond. Don’t worry, you won’t be rolling over and clips and waking up from that too. These clips are designed to hold the duvet in place and stay out of the way. If you’re not up for spending money, go the DIY approach and sew two pieces of fabric tape to the inner corners of your duvet, then tie the tape around the corners of the comforter. Night sweats are a more common occurrence than most people realize. The simple solution is to layer your bedding just like you would your clothes on a spring day that could go either way. Start with a flat sheet, add the duvet, top with a quilt and add an extra blanket at the end of the bed. If you can control the thermostat in your apartment in Shadyside, reset it during the hours you sleep so it’s cooler. Pesky light that creeps in from a street light, the sun rising or your neighbor’s TV are other treatable causes of sleeplessness. Blackout curtains are your best friends. Most apartments require you to have a neutral curtain, usually white or tan facing outward and any color on the inside. Luckily, most blackout curtains have the neutral side facing outward with the color of your choice on the inside. A common problem keeping would-be sleepers awake is the mountain of pillows on the bed. Limit your pillows to those you sleep on with 2-3 accent pillows. Remove the accent pillows before bed. While you may not mind the clutter, you could be unconsciously stressed from not having free range of motion during the night. The final common problem to a wakeful night is dry air.When your bedroom turns into a desert overnight, it’s time to by a humidifier for your apartment in Shadyside. Not only will you sleep better, but you’ll avoid getting sick and dealing with worsened allergy symptoms.